To counteract the torrent of delegitimization directed against our country, Israel must cope with misrepresentations spread by those who oppose the existence of a Jewish state. 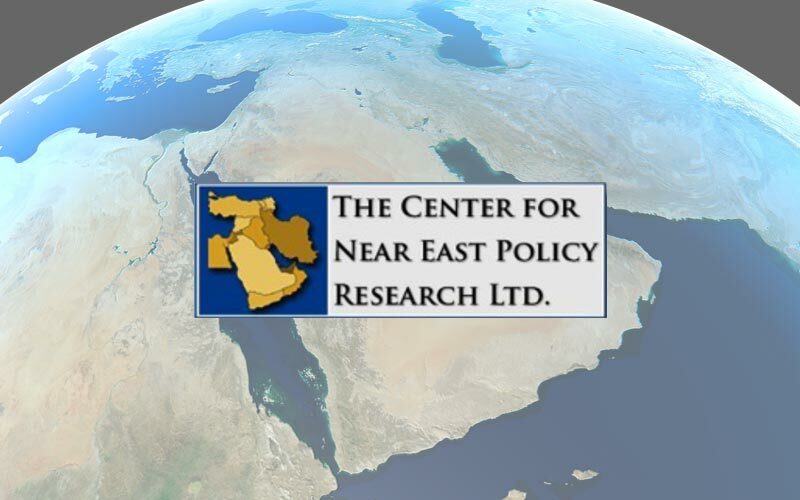 The Center for Near East Policy Research is unique: We research, investigate, and publicize stories that would otherwise go unreported. We regularly initiate briefings for our experts to meet with lawmakers and journalists in Western capitals. Our foci are Palestinian Authority anti-Semitism and the policies of UNRWA—the United Nations Relief and Works Agency for Palestinian Refugees. For over a decade, we have produced short documentary films that give an inside look into UNRWA, which breeds the next generation of terrorists. Our work has been instrumental in reaching those that effect real, positive change for Israel. Our films and special reports have been presented at the U.S. Congress, British Parliament, Canadian Parliament, European Commission and the United Nations (in New York and Geneva). ☐ Become a MEMBER at NIS 365 (or $100) per year … 1 shekel a day. ☐ Become a SPONSOR at NIS 3,650 (or $1,000) per year … 10 shekels a day. ☐ Become a PATRON at NIS 36,500 (or $10,000) per year … 100 shekels a day. Our success solely depends on the involvement of our members. the vicious anti–Semitic Palestinians are a crystal clear cancer on Israel whom must be permenently expelled from Gaza, the West Bank, and certainly from Jerusalem at once !! !…that continuous waring populace should be relocated to our ” friends” in Saudi Arabia as their appropriate homeland ; the Saudiis have a gigantic land mass they’ll never use in a thousand years !! !…screw the U.N and hostile world opinion against civilized true peace loving Israel !!! God Bless Israel and God Bless Benjamin Netanyahu, a true loyal protector and great leader !!! Howie from Coolidge Corner, Brookline, Boston, Ma. U.S.A.